Gluten-free cornmeal puffs with the peanut butter flavor. 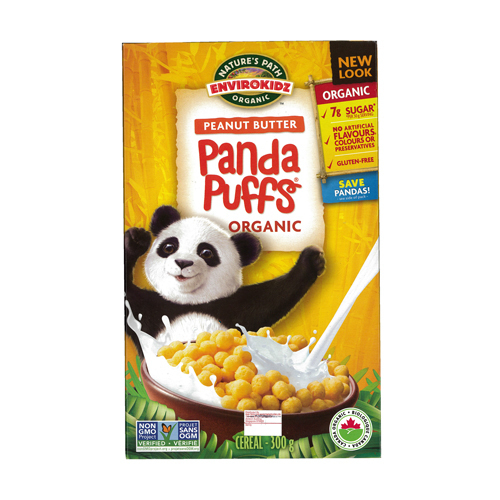 A nutty take on our original puffed corn, these certified organic and gluten free puffs are packed with peanuty goodness. Delivering 9g of whole grains per serving, they've got the wholesome ingredients moms want and the flavor kids can't resist! Organic corn meal, organic evaporated cane juice, organic peanut butter, organic soy oil, sea salt, tocopherols (natural vitamin E), organic tapioca starch. Contains soy and peanuts. Produced in a facility that uses tree nuts. Nature’s Path was founded in Vancouver BC in 1985 by Arran and Ratana Stephens. The company started out, and still is today, a passionate, family-run company that makes delicious, organic breakfast and snack foods. 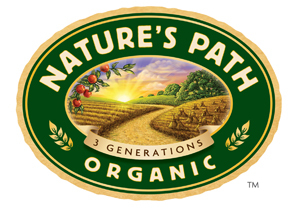 Over the last 30 years, Nature’s Path has grown to be North America’s largest certified organic breakfast and snack food company with a product line of over 150 cold cereals, granolas, hot oatmeal, waffles, bars, and cookies.